North Adams, MA – Linda Febles has been promoted to Vice President, according to an announcement by Jonathan Denmark, President & Chief Operating Officer of Coakley, Pierpan, Dolan & Collins Insurance Agency, Inc. (CPDC). CPDC is a division of MountainOne Bank. As Vice President, Febles will manage an expanded portfolio of business clients, provide risk management strategies and insurance protection plans, and attract new clients to the agency. Febles joined MountainOne in 1999, and has over 27 years of insurance and banking experience. Febles holds certifications as a Certified Professional Insurance Woman and Construction Risk Insurance Specialist. Febles is active with many community organizations, including serving as Chairman of the Berkshire Chamber of Commerce and AdLib Boards of Directors. 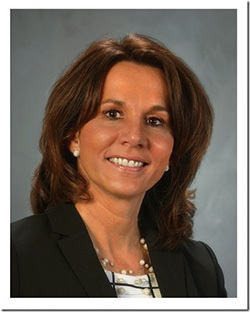 She also serves as a member of the Boards of Directors for Berkshire County Kids Place, 1Berkshire and The Brien Center. She is a Corporator for the Massachusetts College of Liberal Arts Foundation and a member of Berkshire Business and Professional Women. Febles also earned the Dr. David B. Kagan Award for Community Service from the Pittsfield Rotary in 2013. She resides in Lenox and has two daughters.